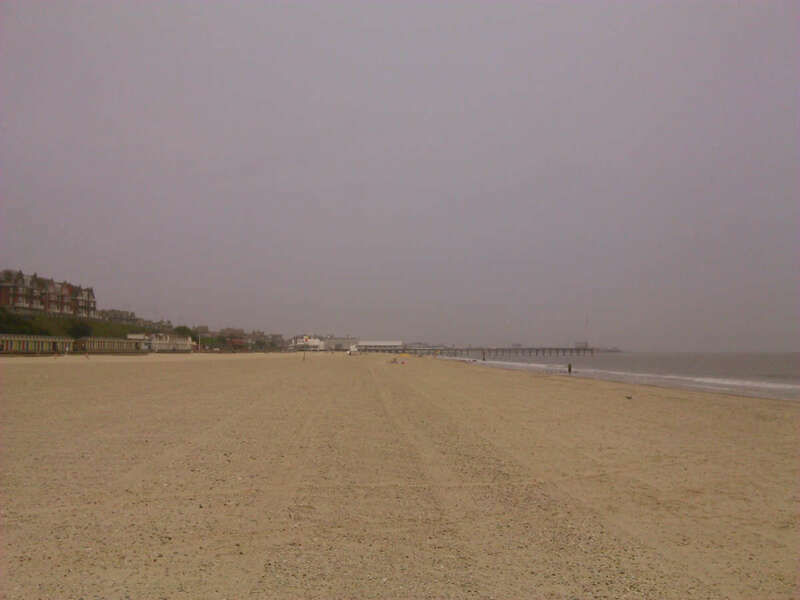 The beaches of Lowestoft are wide, long, sandy and close to the city center. It is only a five minutes walk to the south from the train station — also located in the city center. After crossing the river Waveney and passing by the harbor you arrive to a square with a fountain and a lot of restaurants or take-aways. All the restaurants serve seafood with chips or vegetables. From the square you can access the south pier and the small heritage pier. Here you will also find an old ship that is used as a museum and can be visited — for free. The first beaches are at the southern part of the square. They are small and surrounded by huge rocks. A few hundred meters further south along a promenade you will find another group of restaurants. Here is the access point to a wide, sandy beach. The beach is a few hundred meters long with a promenade on its side. It is interesting that there are a few hundred changing rooms. In my opinion the sand quality is good while the water quality is rated as excellent — something I haven’t tried as it was a cold day. There is also a lifeguard tower and at the time of my visit two lifeguards supervised the swimmers — there were less than twenty people on the beach and only a few brave ones tried to swim in the cold sea. I have walked about five-six kilometers from the beach to the south along the coastline. 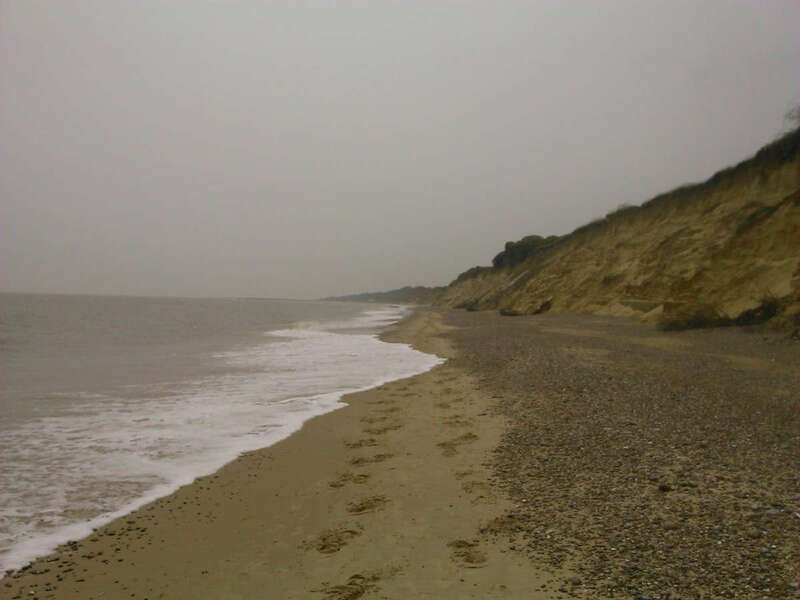 The further away you are from the town the higher the sandy seawall becomes. Also more gravel is here on the sand. 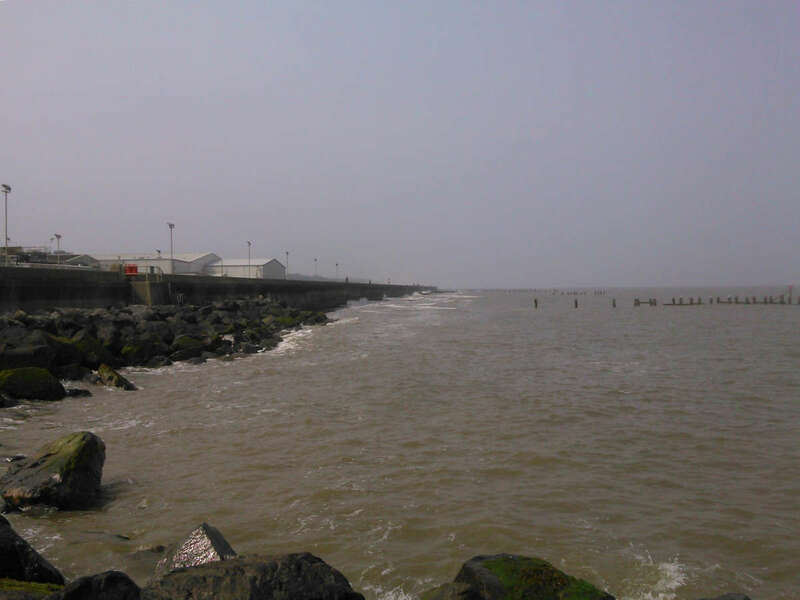 The distance between the seawall and the sea constantly changes from five meters to fifty meters. After a while I have spotted some stairs leading up the seawall. There were a total of 90 steps, so the height of the seawall is around 15 meters here. 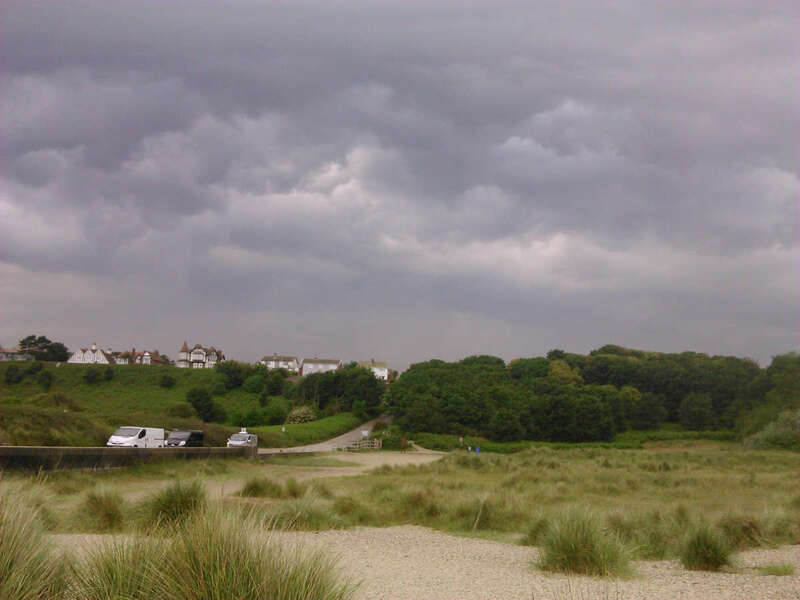 At the top of the seawall is the Kessingland camping area. 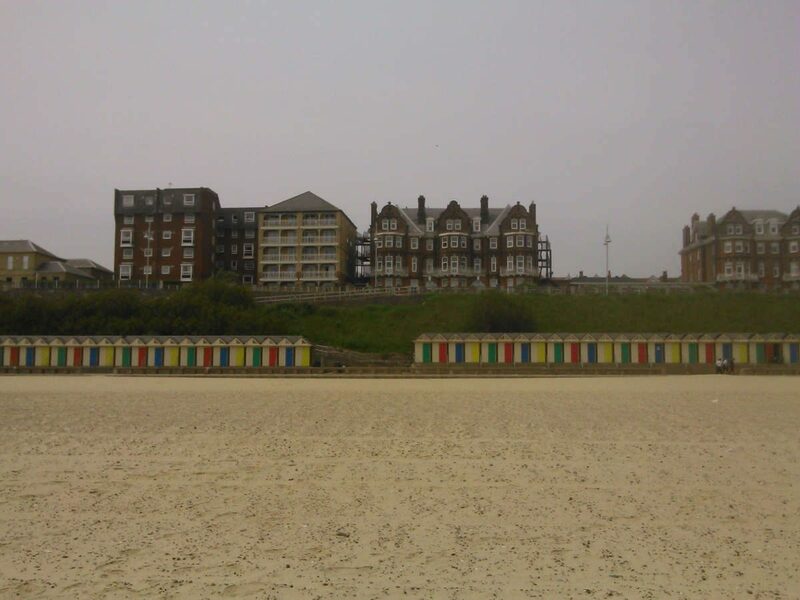 From here I have returned to Lowestoft along the coast. Finding the Ness Point is not an easy task as there are very few signs and the roads go through an industrial area. Although it is about one kilometer away from the city center to the north, I recommend using a map or a GPS device to get there. A good reference point is a wind turbine that is visible from the distance — actually this is Britain’s tallest wind turbine. 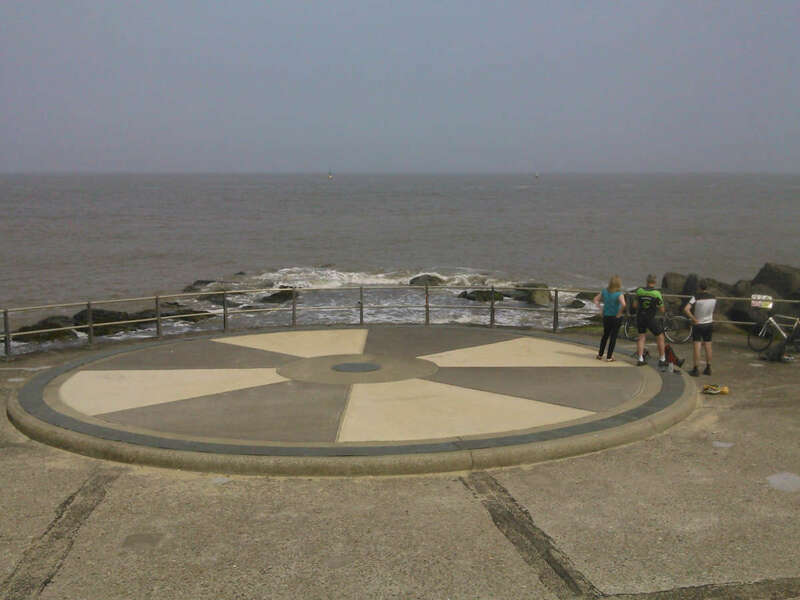 This is the Ness Point — Britain’s most easterly point — with the direction marker. At the Ness Point starts a long seawall build from concrete. It is at least one kilometer long and at least five meters high. Walking or cycling on this wall is a bit boring — and dangerous —, but it gives great views of the sea from the top. After the seawall ends you will arrive again to some sandy beaches and there are also some grassy fields next to the beach. 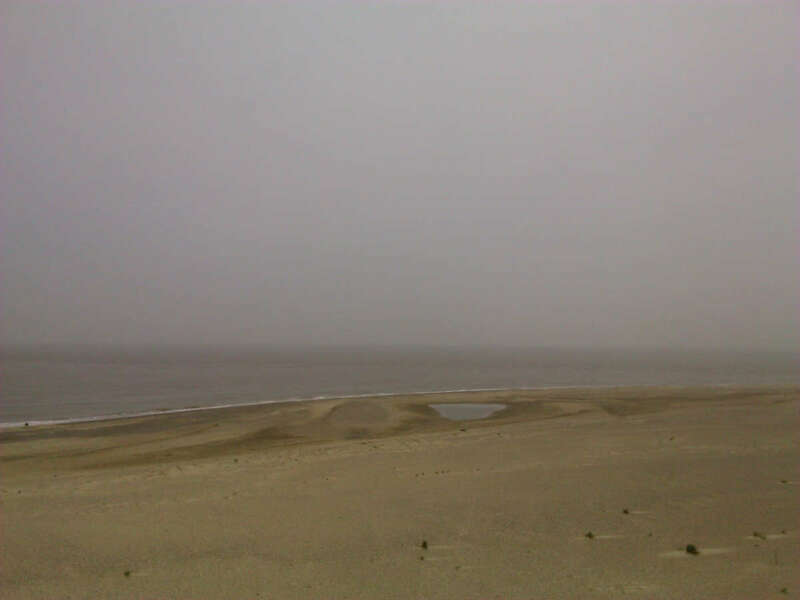 If you continue along the beach you will reach Corton, or further to the north is Great Yarmouth. I have returned to the city center. The city center is made of a few long, straight streets that are packed with shops, banks and restaurants. 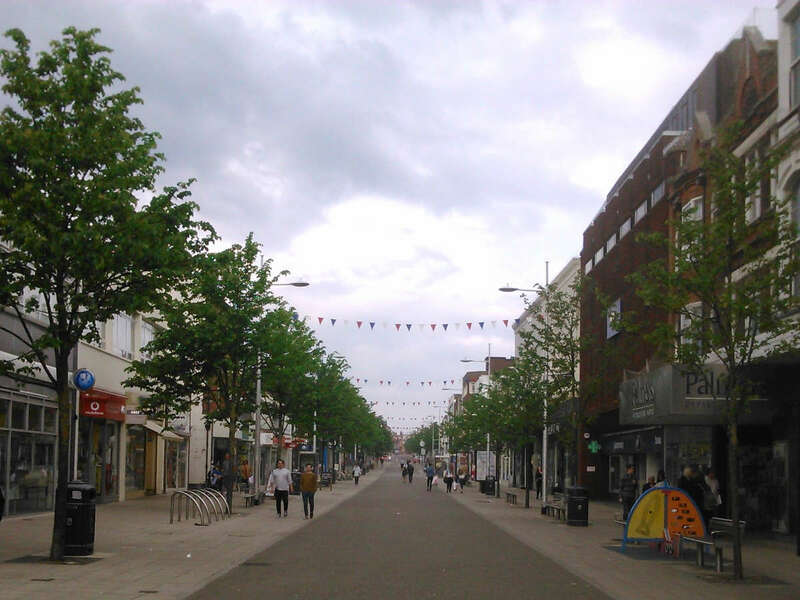 If shopping is not your thing you can find a few museums or entertainment centers in Lowestoft.